You’ve got an inspection coming up with your landlord. You’re trying to sell your house. Maybe you’re just tired of the way the house smells because you or someone you know has smoked there. Or maybe you’ve just purchased a house that smells like someone smoked 3 packs per day for 40 years and never removed the cigarette residues. Although it may seem like an impossible task in extreme cases, the best products to get the smoke smell out of your house will provide you with the improvements you need. Use them with a little elbow grease and you’ll have a better smelling home in a day or two. Just in time for the inspection to happen or the realtor to stop by for a showing. Are you ready to get started? Whether your home is only a few hundred square feet or you’ve got a few thousand square feet, cigarette smoke odors don’t care. The smoke will leave particles on anything it can reach. Now here’s the good news: these top-rated products are proven to help improve a home’s environment quickly and affordably. Is It Possible to Get the Smoke Smell Out of a House? If you’re trying to get rid of the smoke smell in your house, apartment, or flat, then your first step must be to remove the source of the odor problem. This step seems like common sense, but the natural reaction of the average person to a room that smells like stale smoke is to spray an air deodorizer. They might open a window to begin diluting the odor. Some might burn a couple scented candles. Those actions seem effective because they mask the odor for some time. Because the source was not eliminated, however, the stink will come back with ferocity. Finding the source of a cigarette smoke odor can be difficult. The particles of smoke are smaller than the width of your hair, which means they are able to penetrate virtually any surface that can be in your home. Your smoke whiff could be emanating from your walls, your doors, your floors, your furniture, or even the insulation behind your walls. Smoke travels through your HVAC system as well. It gets into the cracks, seems, pipes, and vents. That’s why you can thoroughly clean a home but still have it smell like smoke every time the air conditioning or furnace turns on. If you have an inspection coming up or are trying to sell your house, getting rid of that aroma must be a top priority. People who are buying a house are never sure that they’ll be able to fully remove the scent of old cigarettes. Landlords don’t know if they’ll be able to rent their property to new tenants if cigarette smoke odors are left behind. This can result in lost sales opportunities, or worse: the beginnings of an eviction proceeding. It takes work, but you can get rid of that odor. In most circumstances, you’ll need to attack the stink on several fronts. 1. Open windows throughout the home. Turn on any fans you may have, including ceiling fans. By moving air through the house, the odor can be diluted and lingering smoke or particles can be removed. 2. Soak a rag, washcloth, or dishtowel with vinegar. Place one in each room of the home. This will attract lingering odor particles. 3. Wash all the hard surfaces of the home with a disinfectant. This includes your walls, inside your cabinets, and all your closet surfaces. 4. Use a steam cleaner to remove any particles that may be in the fibers of your upholstered furniture. 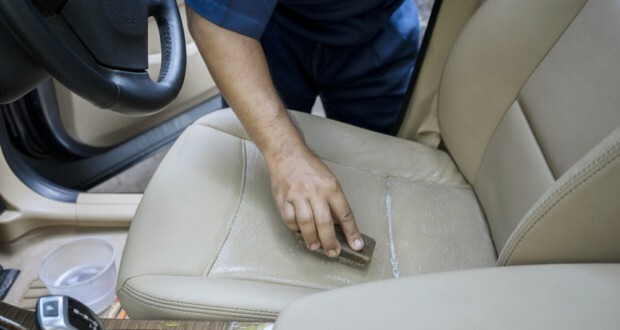 Special shampoos or upholstery-specific cleaning products are helpful during this step as well. 5. Set bowls of cat litter of activated carbon filters in each room of your home. 6. Thoroughly shampoo your carpets and rugs. For hard-surface floors, use a cleaning agent that is compatible with the type of floor you have. 7. Take your blinds down and soak them in a bathtub filled with warm, soapy water. Then scrub the blinds and hang them so they dry thoroughly. 8. Have your curtains or drapes professionally cleaned. If they can be washed at home, use the hottest water setting. 9. Change out all your light bulbs. Smoke particles settle on the top of the bulbs and the heat from the bulb will cause more odors to disperse. Clean your fixtures as you take the light bulbs out of them. 10. Wash your windows to remove any lingering smoke residues that may be on them. Wash the outside of the windows too, especially if you, your family, or your friends have a habit of smoking outside. 11. Dry chemical sponges, soot sponges, and dry-cleaning sponges can help you clean surfaces, such as a ceiling tile, that should not be wet. 12. Replace all the filters in your HVAC system. Consider having your HVAC system cleaned by a professional. 13. Give your walls a fresh coat of paint. Add a polyurethane sealant to your floors. Why Am I Still Smelling Cigarette Smoke in my home? Removing cigarette smoke smells from a house can be challenging. You can do everything right, but still smell the stale odor of smoke when there’s a damp day. What is causing these smoke smells to linger? Cigarette smoke odors continue to exist because there is still a source present. Everything will need to be cleaned when cigarettes have been smoked indoors. Common items that do not receive their needed cleaning are electronic devices, mirrors, picture frames, pillows, and baseboard trim. Many electronic devices have vents and fans that draw in air to cool down the device while it is operating. Smoke will be sucked into these vents and cause a thin coat of odor particles to exist inside the device. Try spraying condensed air through the electronic device to clean it. You may need to have the item disassembled and cleaned professionally to completely remove the odor. Picture frames need to be cleaned front and back. They are not airtight, so you’ll need to clean the front and reverse of the glass or acrylic display. Don’t forget to thoroughly clean the wood, plastic, or metal frame components. Mirrors will accumulate cigarette smoke odors, even if you don’t see that accumulation. Clean the glass frequently. Remember to clean the frame and back of the mirror as well. Pillows should be washed at least once. Some may need multiple wash cycles. Follow the manufacturer’s instructions for cleaning to prevent them from being damaged. The most overlooked item to clean, however, is the trim that is around your house. You will need to thoroughly clean your crown molding and any wall trim that may be in the home. Your doors, doorknobs, and any dresser or cabinet pull handles must be cleaned as well. The items that you use to clean your home, apartment, or flat must also be cleaned after they’ve been used to remove cigarette odors. Change out the bag of your vacuum frequently or take your canister vacuum outside to clean it after each use to prevent odor build-up. Don’t forget to wash your towels, clothing, blankets, comforters, and other similar essentials. Your luggage will also need to be cleaned. There is also one trick you can use. If you have stubborn cigarette smoke odors that will not go away, no matter what you’ve tried, then it may be time to invest in an ozone machine. These generators create O3 (we breathe O2), so the extra oxygen molecule works to oxidize and remove the odor particles that have penetrated into difficult places. For difficult odors, it can take several days for the ozone to completely remove the stale scent of cigarettes. Because ozone is a lung irritant, you will not want to be in the same room as the machine while it is operating. You will need to thoroughly vent each room after an ozone treatment as well. What Are the Prices of the Best Smoke Odor Removal Products for the House? If you’re using cleaning products, expect to pay about $20-$40 for each item that you need. Don’t forget to purchase brushes, shampoos, and deodorizers to use during the cleaning process in addition to the odor remover agents. For those who need an ozone generator, expect to pay at least $150 for a good machine. Some cheaper models are available and some of them are top-rated, but they will take a few days to complete the job you need them to do. For large spaces, you may need to pay $300 or more for an ozone machine that can meet your needs. Certain vacuums are rated to remove odor particles today too. 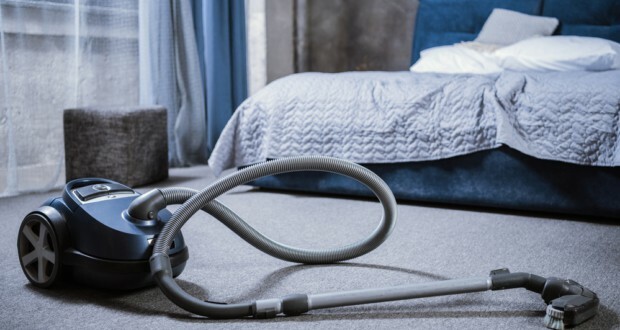 Most vacuums that can perform this action are priced in the $150-$300 range, though some can be priced as high as $500. This ozone generator can help to get the smoke smell out of up to 3,500 square feet of house. The activate oxygen does an excellent job of removing even difficult smoke odors if given enough time to work. You won’t want to hang around your home when this little machine is running because the ozone is quite powerful. Keep it away from the pets as well. For a home with a strong cigarette odor, however, you can bet that this little machine is going to get the job done. This industrial-strength ozone generator will give you 4,500mg of ozone production and a larger fan to distribute it throughout the home. The price is stunningly low for this product and you won’t have any filters that you need to worry about cleaning. It’s compact and portable, letting you take it with you almost anywhere you might go. You can control the final output on this machine and it uses a standard 110v outlet. Set the timer, take care of the odors, and you’ll have a fresh house to come home to every night. This is a multi purpose ozone generator that gives you tons of options. There are 15 different settings on this machine so you can use it for several different applications. Instead of routing the ozone outward with a fan, it utilizes two 36-inch polyurethane tubes so you can direct the ozone to where it will be most effective. A white and gray diffuser stone is included with this wall-mountable design. Treat your tap water or clear out the smoke smell and you’ll find this unit to be a worthy investment. This is another commercial-quality ozone generator that will give you two different levels of air purification. It’s quieter than most other models in this category but still, allows you to remove smoke smells from up to 3,500 square feet. The equipment is backed by a 3-year manufacturer’s warranty. We appreciated the fact that it comes equipped with stainless steel parts so there isn’t the threat of corrosion like you have on other ozone generators. It’s powerful, effective, and features ceramic plates that are washable. This ozone machine will give you 6,000 hours of continuous use without needing to replace the plates on the unit. For most homes, that’s about 2 years of usage for one single investment. Three different models are available: 3,500mg, 5,000mg, and 7,000mg. We found the best deal was with the 5,000mg machine. It features cast-metal construction, low energy consumption, and there is a timer function so you can set it and forget it. If you’ve got tough smoke odors to remove, this budget-friendly option will quickly improve your indoor quality. This compact ozone generator does an excellent job of removing smoke odors from any room. Set it in an unoccupied room and let it run for 3-4 hours. Make sure you set the timer so it will shut off automatically. Then let the room filter out the ozone for a couple of hours after the generator shuts off. You will notice an immediate difference in the freshness of the room. It is a low-maintenance option, consumes just 50 watts, and offers a 1-year warranty. If you’ve tried everything and nothing seems to be working, give this unit a try and we think you’ll be satisfied. There are no frills with this ozone generator. It’s a powerful, lightweight model that can be used in virtually any environment. It also provides you with a 5,000mg per hour output when other models at this price point only provide you with 3,500mg per hour. The ultra-low energy use doesn’t change the effectiveness of the output. Just set the timer on the unit and let it run. Made with industrial-grade steel, this will help you control smoke odors for years to come. This air purifier features IonCluster technology to give you a non-ozone based air purifier that does a supremely excellent job of removing foul odors. Air quality indicators and an automatic filter change indicator are included with the design. It will cover about 1,000 square feet and attack microbes, bad odors, and more with its granulated carbon filter technologies and true HEPA filter. With four operating modes from which to choose, you can improve the quality of air in your home all day and all night when you own this unit. This is another affordable 5,000mg per hour ozone generator to consider. It can handle virtually any type of odor, so cigarette smoke smells don’t stand a chance with this unit. There’s no setup required. Just pull the machine out of the box, plug it in, and set the timer. You can run it for up to 120 minutes at a time and have it automatically shut off. It uses coronal discharge technologies to create the ozone and is backed by a 5-year warranty, though the plates are excluded from it. The best products to get the smoke smell out of your house may require you to vacate the premises for a little while, but the effort will be quite worthwhile. When you step into a fresh room that no longer smells like old cigarettes, you’ll know you made the right investment. Grab the model that works best for your home today and stop living with those smoke smells starting right now.